It is happening. Fall is coming & you can see and feel it already. The weather has gotten cooler, the leaves are starting their seasonal change & everywhere you look, the stores are filled with fall colors. I am giddy with excitement because I love all things autumn and can hardly wait for all that the season has to bring. 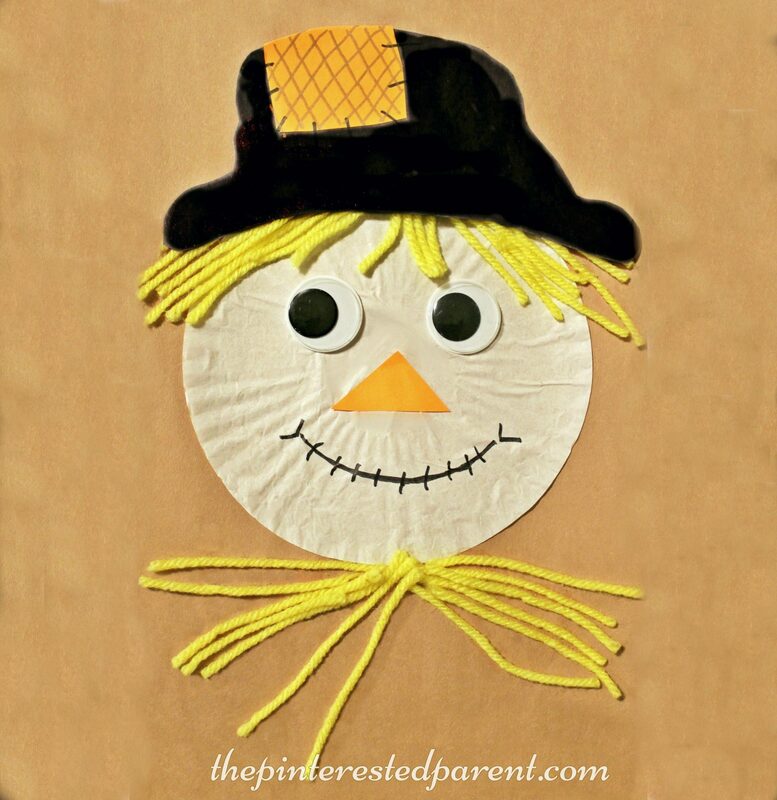 Here is an adorable & fun fall craft to kick the season off early. 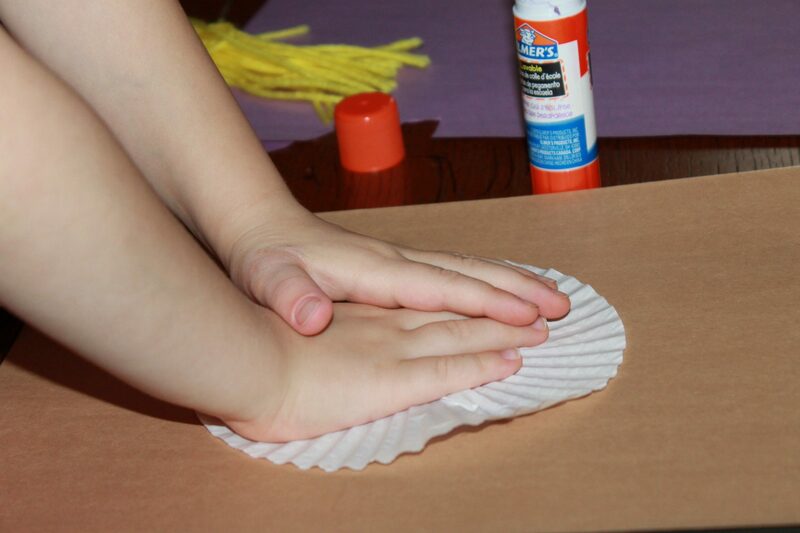 All you will need is a cupcake liner, yellow yarn, construction paper, googly eyes, a glue stick & a marker. 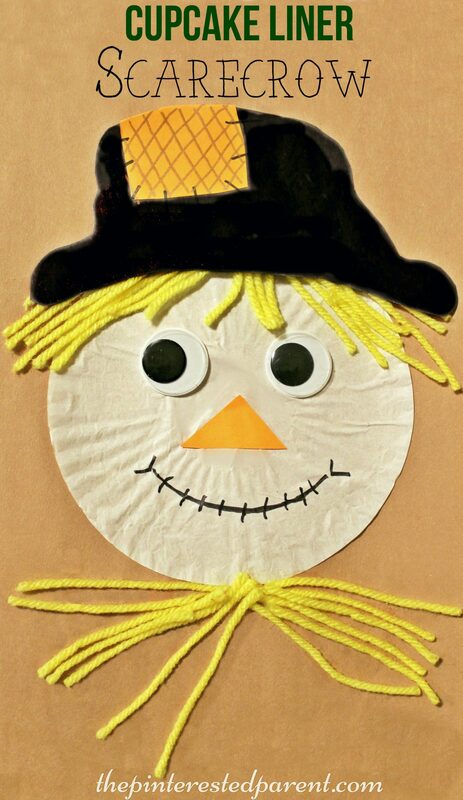 To make our friendly scarecrow, flatten out a white cupcake liner & glue it to the center of a piece of construction paper. Cut several strands of yarn. 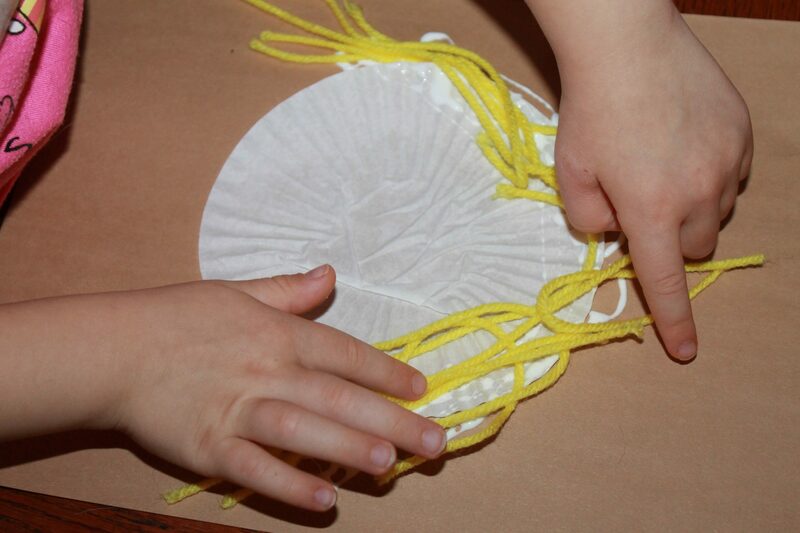 Glue the strands of yarn along the top of the cupcake liner jutting out in all directions. Glue more strands under the liner. 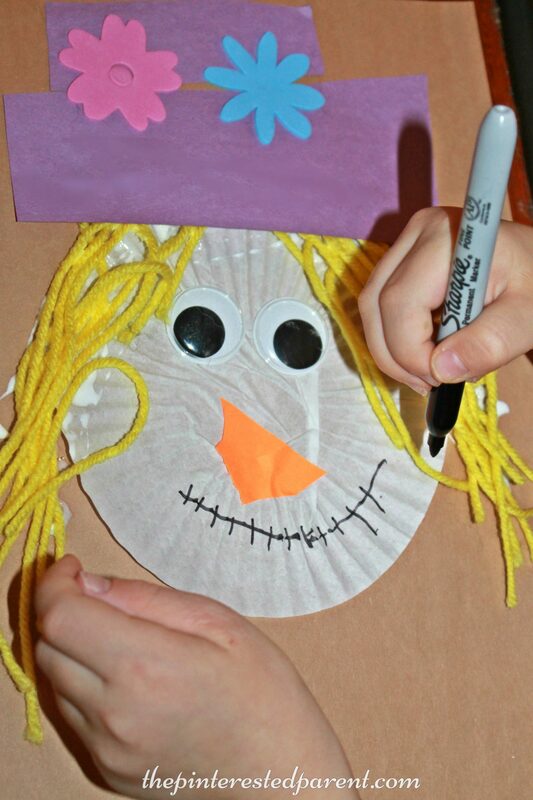 My daughter wanted a girl scarecrow, so we made longer strands for her. Cut a hat out of construction paper. 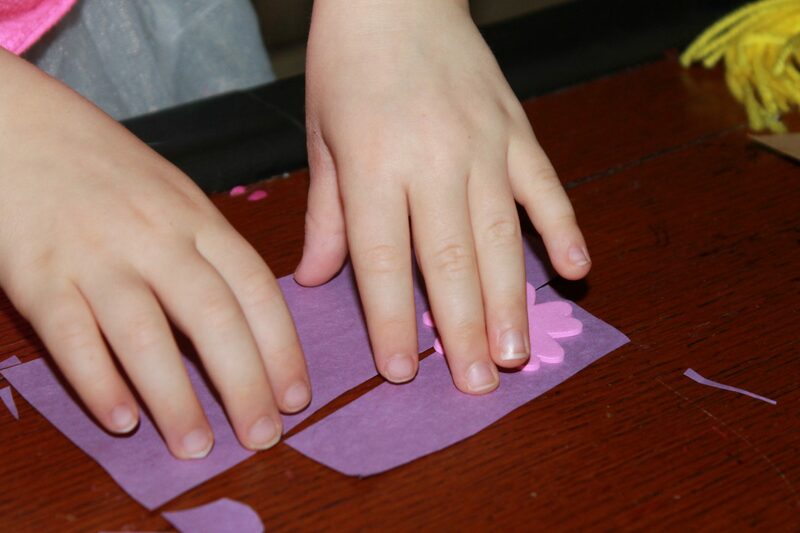 Cut a square out of a different colored piece of construction paper. 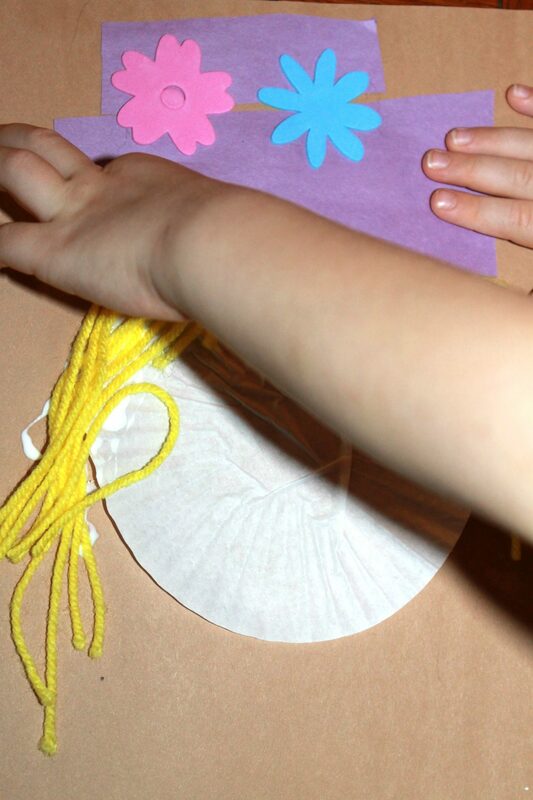 Make hash marks around it using a marker & glue it onto your hat to form a patch or you can take a cue from my daughter & opt for foam flowers for the hat. Those added a lovely touch to her pretty scarecrow. Cut out a triangle for a nose and glue it to the center of the liner. 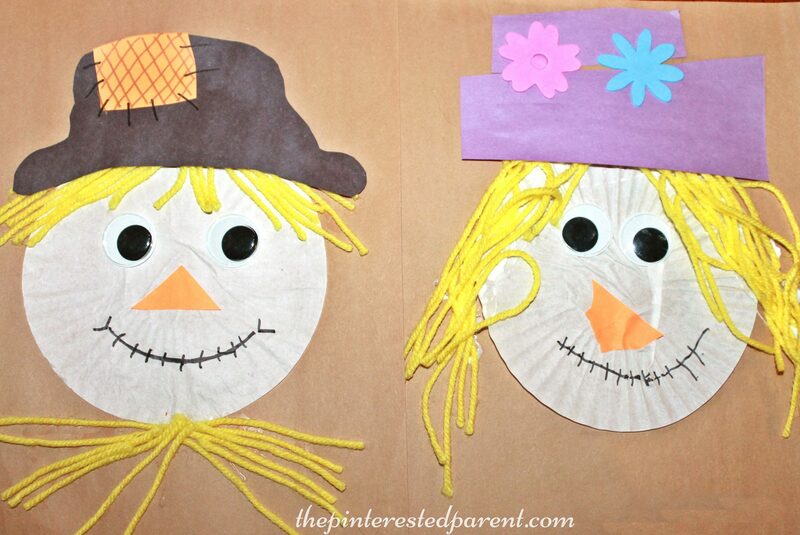 Glue the googly eyes above the nose & finish off your scarecrow by drawing him or her a mouth. We made ourselves a wonderful pair of scarecrows & before the glue even dried, my daughter told me that the scarecrows were getting married. They do make a cute couple don’t they?